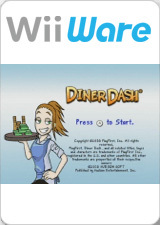 Diner Dash, the number one PC Action Puzzle game has landed onto WiiWare! Guide Flo, an office-worker turned restauranteur, as she builds up her empire over four unique diners! Go online to face players in head to head matches! If you feel up to the challenge, join up with a friend or another player online for a Team Dash game where your team will take on six other players to see whose diner is the best in town! 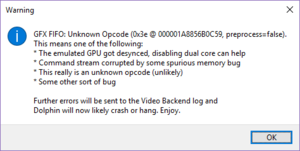 This title encounters an unknown graphics opcode on boot that hangs Dolphin. Exiting will require a Forced Stop. Refer issue 10752. The graph below charts the compatibility with Diner Dash since Dolphin's 2.0 release, listing revisions only where a compatibility change occurred. This page was last edited on 10 January 2018, at 17:41.